This is actually a re-post from last Christmas, but please be aware that the hats, elf shoes, and dresses that appear in the video above now have free patterns and tutorials available right here on ChellyWood.com! Look back at this post or this post for those free doll clothes patterns and tutorials. This time last year, I was just learning how to use my Camtasia software, but this past week I tried something new with the Camtasia software: I created a voice-over feature for my baby doll diaper tutorial. I’d love to get my followers’ feedback on how the voice-over turned out in yesterday’s video. Do you like the voice-over feature? Do you wish I would tweak it a little? Feel free to offer your feedback at the bottom of yesterday’s post. Some of my followers have wondered what motivates me to give my patterns away for free. First of all, I’m a librarian by trade. Librarians love free stuff! We believe that the more a person knows, the more enriched their life will be. So it may sound kind of crazy, but I want ChellyWood.com to become a sort of library of free patterns that help people learn to sew doll clothes. Please be advised: when I get some time off from my job as a school librarian, I’m planning to develop a new layout for ChellyWood.com, and whenever you redesign something, it’s possible for stuff to get lost! 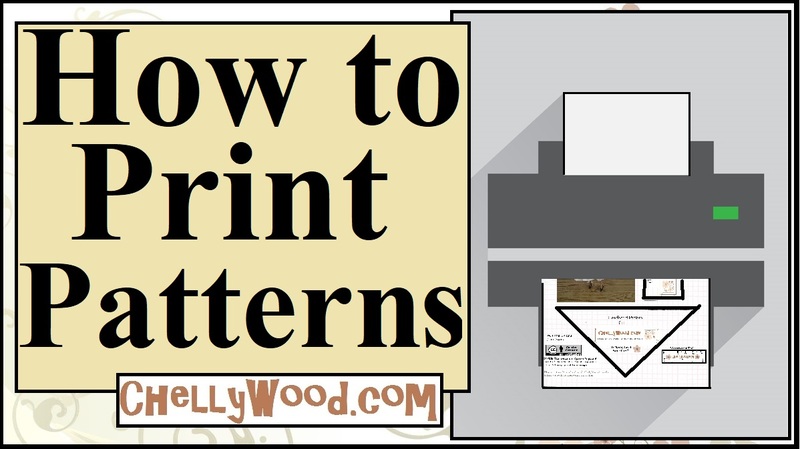 So if there’s a specific pattern you’ve bookmarked because you want to make that outfit, I advise printing the pattern soon. Links may not work quite as well after I redesign my website. Ooops, sorry I misread it, the voice over wasn’t in the repost, but I thought you had added on one that I couldn’t hear, anyway I love your stop motions. Thanks, Quinley. If I had more time, I’d do a stop-motion video for all of my sewing tutorials. They’re super fun to make! Previous Previous post: #DIY Baby #Dolls’ Diaper / Nappy Makes a Great #Gift for #Kids!